Get to grips with Athens’ street art scene on this private, 3-hour tour. 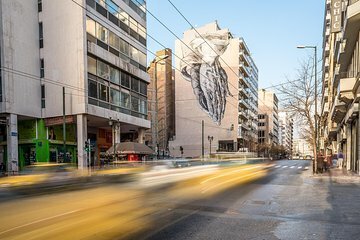 Following pickup from your hotel, set off on foot with a local artist to scout out the Greek capital’s most impressive pieces of outdoor art. See eye-catching murals, colorful graffiti, intricate stencils and more as you hear about Athens’ most renowned artists.